What happened to 2012? I wrote no blogs so this is an attempt to catch up and fill in the gap. 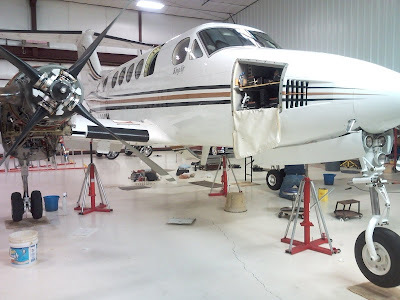 I went to work at Provo airport for Duncan Aviation doing airframe maintenance on business and corporate jets. It was sort of culture shock going back to a structured work week but I am enjoying it. In August I was diagnosed with thyroid cancer and had surgery in the beginning of October to remove my thyroid and several lymph nodes on the right side of my neck. I had the surgery in Salt Lake at the Huntsman Cancer Institute and had a room with a view of the valley. As nice as it was, I was still glad to come home after 4 days. Subsequent tests showed I am cancer free. In November we bought Dad's Springville house from his estate. Hopefully it will provide some more funds for our retirement. I continue to serve in the Provo Young Single Adult 227th ward as first counselor to the Bishop. It has been a fun calling and we've made some great friends with these young people. 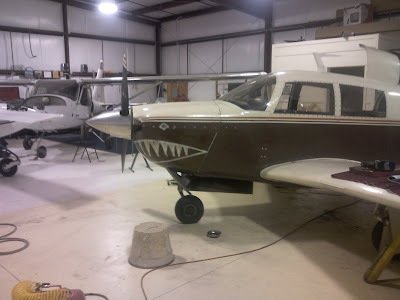 I have been keeping busy lately with aircraft maintenance work at Spanish Fork airport. 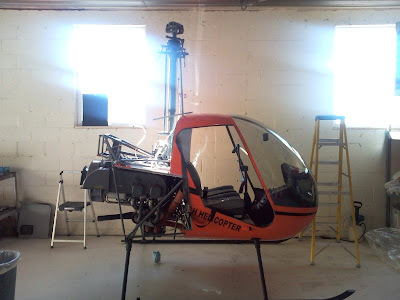 One of my clients is Utah Helicopter. These photos show a Robinson R22 helicopter we are overhauling. 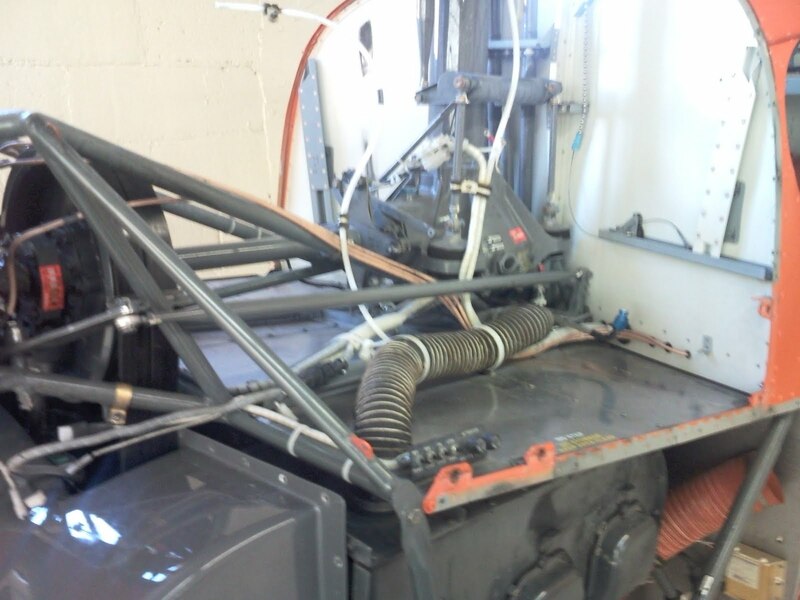 These photos were taken several weeks ago when it was in the disassembly process. It is now being reassembled and one of the pilots is doing a time lapse collection of photos to show it going back together. I'll get a copy and post it when we are finished. Another client is Mountain Country Foods. 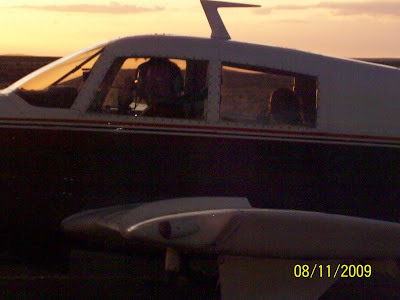 They operate a King Air 300. And last but not least is my own airplane. I decided to make it into a Flying Tiger for Halloween! 70's. In keeping with their King surname, the ranch was called Circle K (the brand was a circle with a K in the middle) Although Dad King sold the ranch years ago, the King family have been having biennial family reunions at a campsite on the Dolores River near the original ranch for the last ten years. This summer marked the 50th anniversary of the start of Circle K so this reunion held special significance. It was held over the 4th of July weekend and Verla's brothers arranged for the family to march in the 4th of July parade at nearby Rico. Here are some pictures of that fun event. Our grandkids had lots of fun at a place they called the nature center. Eden was "in charge" with Tyler as her back up leader. Funny how kids establish authority figures even when they are playing. Here are Eden and Owen keeping an eye on camp. In the mid 90's there was a movie with Hugh Grant and Andie McDowell called "Four Weddings & a Funeral." It was a british film about a group of friends attending a series of weddings and finally the funeral of one of their middle aged friends. It was reflective of the worlds' view of marriage and death as shown in this excerpt from a speech given by the main character at the funeral as he quotes W.H. Auden, "Stop all the clocks, cut off the telephone, Prevent the dog from barking with a juicy bone, Silence the pianos and with muffled drum Bring out the coffin, let the mourners come. 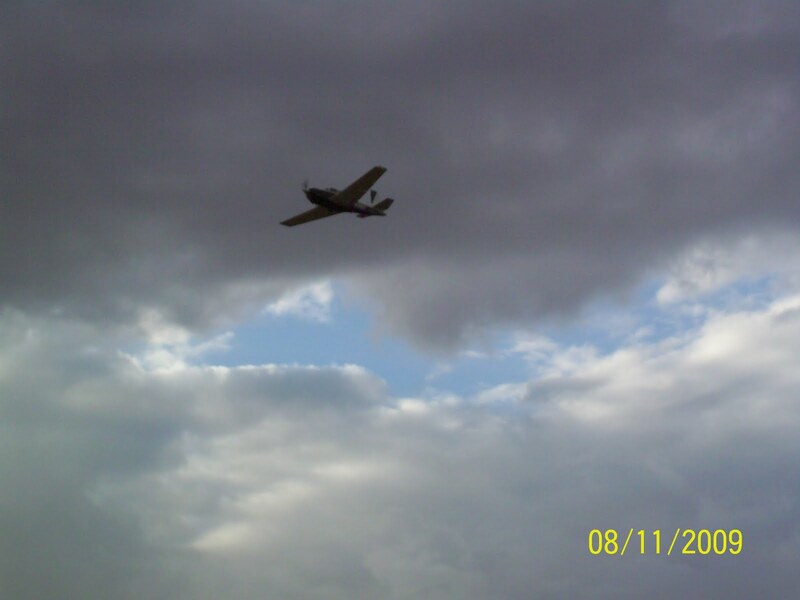 Let the aeroplanes circle, moaning overhead Scribbling on the sky the message 'He is Dead'. Put crepe bows 'round the white necks of the public doves, Let traffic policemen wear black, cotton gloves. He was my North, my South, my East, and West. My working week and my Sunday rest, My noon, my midnight, my talk, my song; I thought that love would last forever: I was wrong. The stars are not wanted now; put out every one, Pack up the moon and dismantle the sun, Pour away the ocean and sweep up the wood; For nothing now can ever come to any good." In January and February I attended Four Funerals and a Wedding with stark contrast to the worlds' view of marriage and death. The funerals were four people of a variety of ages. Mark Ricks was 100, Clarence Jackson was 96, Brad Ford was 28, and Joaquin Ruiz was 6. All died of natural causes except Brad Ford who died in a powered parachute accident. All were members of the LDS faith and all these funerals relected the faith of Job when he asked retorically, If a man die, will he live again? His answer shouts his faith when he says, "For I know that my Redeemer liveth and that he shall stand at the latter day upon the earth: And though after my skin worms destroy this body, yet in my flesh shall I see God." Mark Ricks was the father of Stephen Ricks who lives in our ward. He lived with Stephen and Shirley until the last few months of his life. Clarence Jackson was my uncle - my dad's brother who was 2 years, 2 months, and 2 days younger than him. Both of these men had lived good long lives and accomplished much good and left an abundant righteous posterity. But even young Joaquin accomplished much good in his short life. 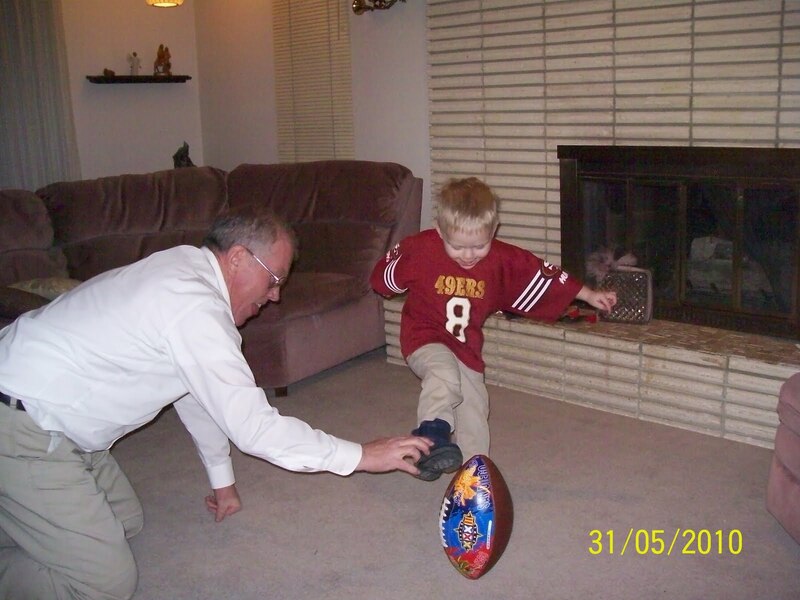 He was born with a genetic defect that hindered his physical body. 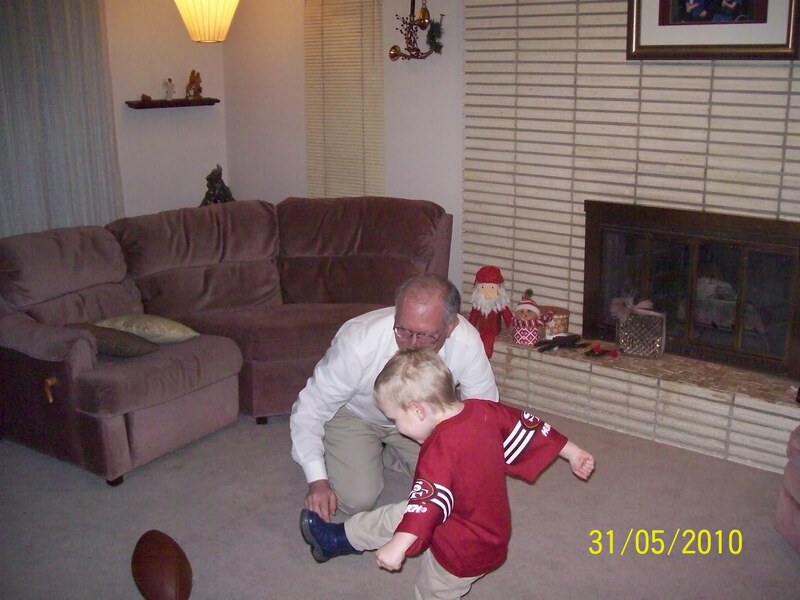 Yet his spirit and love for his family was evident at the funeral and to all who knew him. 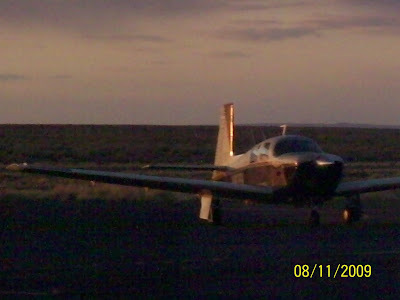 Perhaps the most tragic was Brad Ford who died flying his powered parachute. He left behind a beautiful wife and daughter. 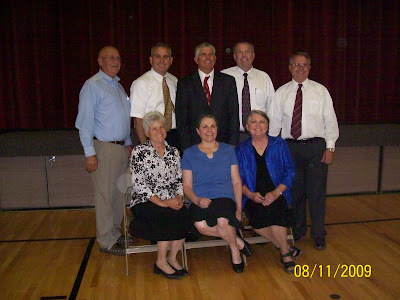 Yet even his funeral emphasized the blessings of eternal families. In the movie I mentioned above, Hugh Grant is delivering a speech as "best man" at one of the weddings and referring to his previous experience as "best man" for another marriage that lasted only two days! The wedding party bursts out laughing. Now contrast that with the wedding reception I attended for Marcus Forbes, son of our good friends from Fairfield, CA who now live in Highland, UT. Marcus and his bride were married in the temple for time and All Eternity. 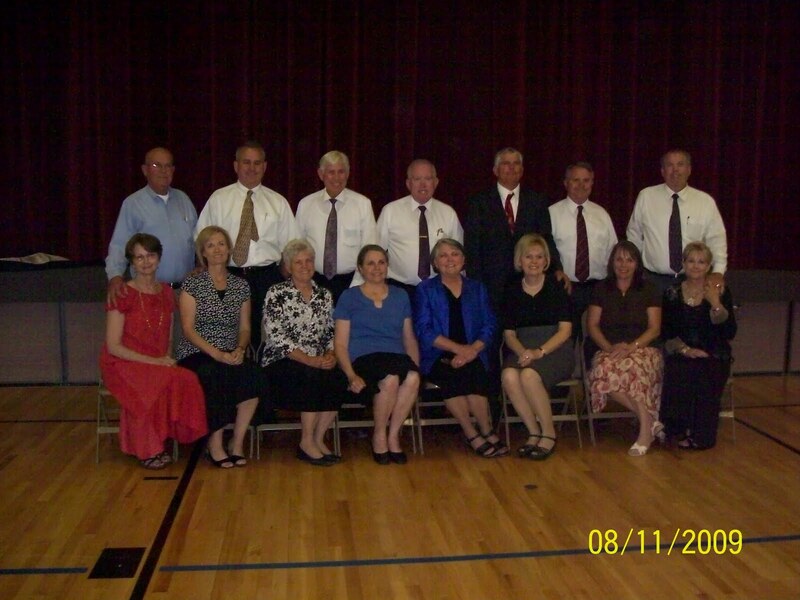 I am so glad I can be a part of an Eternal Family! 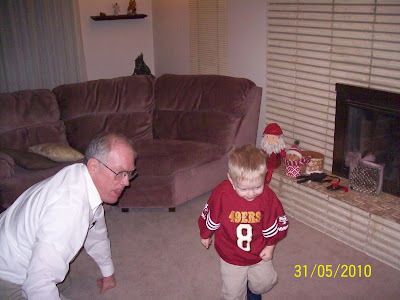 Anyone who knows me, knows I am a 49er football fan. Yes, I know they haven't done much in recent years but in the 80's and 90's they were awesome. Lisa even drew a crayola masterpiece for me, depicting the 49ers winning their third Super Bowl in 1989 over the Cincinnati Bengals. It was so cute because she labeled the Cincinnati team the "Bangals". So I was delighted when our grandson George received a 49er jersey from Aunt Shirley for christmas. He wore the jersey tonight when Stephanie and Carlos came for dinner. George likes to play with the football I have in my office. Here are a few pix of him practicing his kicking game. Get ready 49ers! 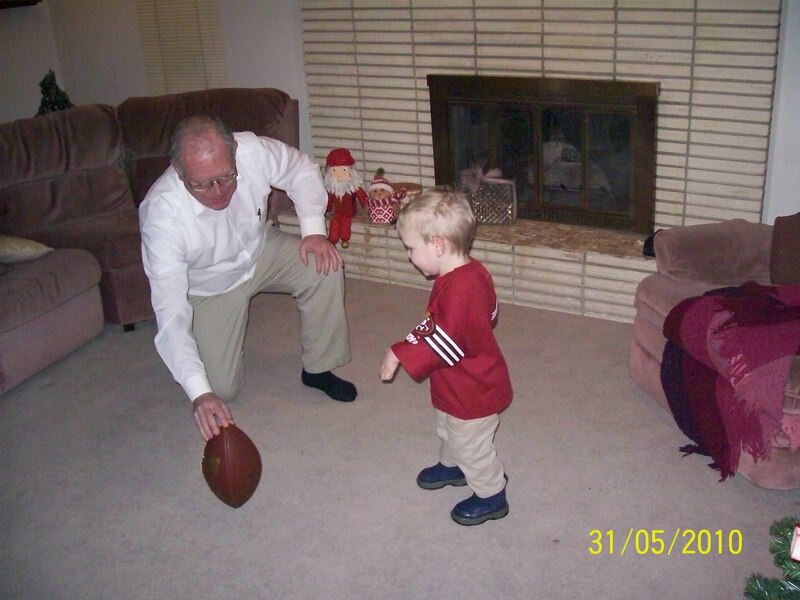 George will be ready to join your team in another 20+ years. 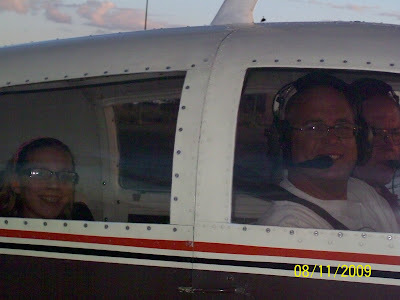 On December 1st I took a young man and his girl friend for a ride in my airplane. It was a nice clear evening and the sun had already set as we took off from Spanish Fork airport. We flew north up Utah valley and flew over and around the Timpanogos temple. Then we flew back towards Spanish Fork. When we were over south Provo, I made a circle over a warehouse. There were some lights on the roof that seemed to spell something. As we got closer, we could see clearly the words "Marry Me?" written in Christmas lights on the top of the warehouse. The young lady looked at them and started screaming, "Oh my gosh, yes, yes, oh my gosh" (kiss, kiss) The young man worked at this warehouse and got permission from his boss to put these Christmas lights on the roof as a unique way of proposing to his girlfriend. He conveniently had a ring in his pocket that he slipped on her finger when she said yes. "How did I meet this young man, you ask?" I saw his ad on KSL.com looking for an airplane ride. Isn't the internet just grand? 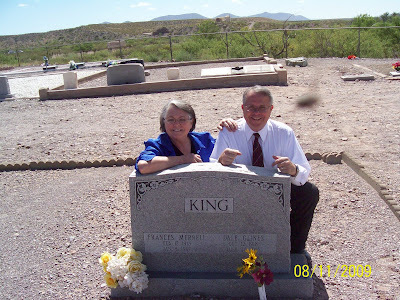 Here is another photo of the King brothers and sisters. Sharon & Val(deceased) are not in the picture. 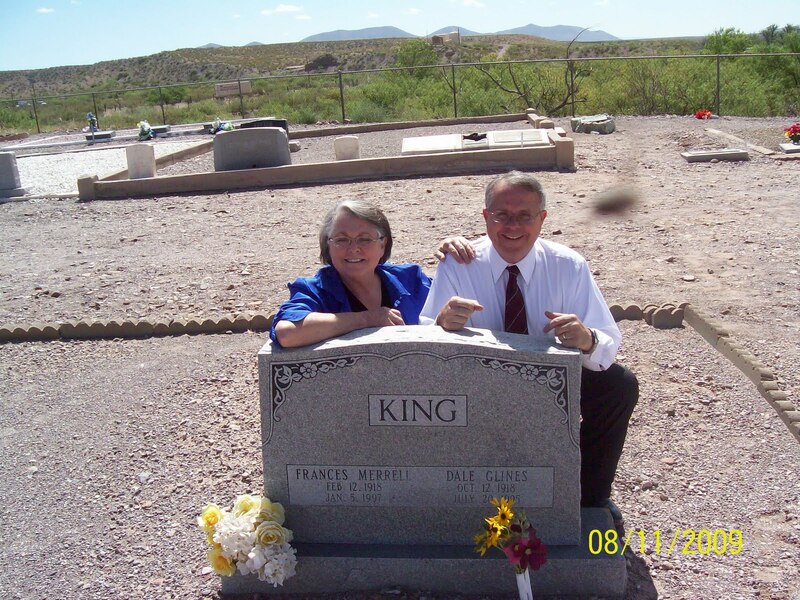 Verla & her brother Bruce stopped at their parents headstone in the Virden cemetery. 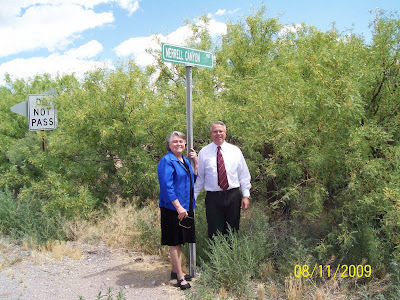 There is also a road named after the Merrell family. On our flight back to Utah the weather was little unsettled so we stopped in Northern Arizona and spent the night with Verla's niece Lynette and her husband Lance and their family. 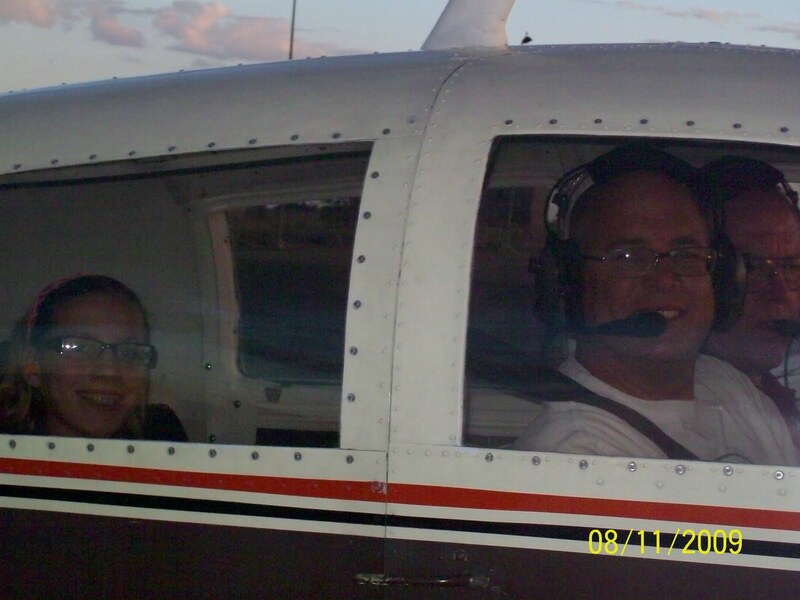 I took Lance and his daughter on a flight over meteor crater.